I know... I know! I just got back from taking some amazing trips but since I've already got my fall/September vacation slotted I need to figure out where to go. I'm really torn between three places. So which one would you choose? I can't decide! I've never been on a cruise or gone to Hawaii so either one of those would be something completely new. However, I do love California. HELP! Ohhhh!! Pick me, pick me! Since I live in FL, I'm near all the cruise ports. I have done a cruise to the Bahamas before and I'm doing another in July. For me, it's very affordable. I guess you would have the extra cost of a flight here, but I cruised in Dec. for $209 (and yes, the weather and water in the Bahamas was still HOT!) and I'm cruising in July for $330. It's just so cheap! I mean, my bar tabs might raise this cost a little...or a lot...but it's nice to know all your meals are taken care of and it's pretty fun to stay up late gambling on the boat and enjoying 3 a.m. pizza! I love cruising so I am all over that! Hawaii! I'm so excited for my vacation too, only a month away and we're heading down the Cape. I agree with Ashley: HAWAII! hmmm... I wish I could go on a cruise. Maybe you could take me? 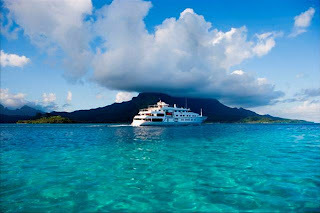 Cruises are awesome and a ton of fun...but Hawaii??!! GO!! GO NOW!!! Hawaii. Def. 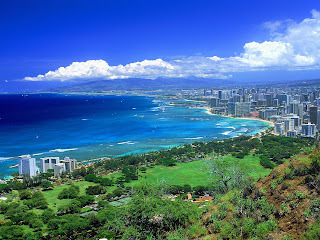 Hawaii - you would LOVE that so much. I've never been, but would love to go! So i can just live vicariously thru you for a week or so! You need to blow off your Criminal Justice education and get a job in the Travel Industry... you're so passionate about going -going-going...I love it! Who do you alway go on these trips with? Friends? Since you just did CA, I'd have to say Hawaii or Bahamas. I'm leaning towards HI. Can I go in your luggage? You won't even know I'm there, I promise! I say you should do something new and different. Either the cruise or Hawaii. I've been to Hawaii and it's amazing. I've never been on a cruise so I can't give an opinion on that. I hear they're great though. Now that you are closer to the West coast tickets shouldn't be too bad. Oh, perfect idea, go to Cali for a couple of days and then off to Hawaii from LA? I would say a cruise. I think always September is a great time for a cruise. CA is a great choice but I think you should do something you have never done. I've never been to Hawaii, so it would be my first choice! I like cruises but it depends who you go with, in my opinion. Pick Hawaii!!!! My husband and I have gone twice, and we LOVED it! If you want any tips on what to do, let me know. Oh my goodness!! How could you choose??? LOL, those are all beautiful pics!! Did you take the one in California? I say Hawaii. I want to go there so bad. you have vacation fever? i've got whatever you have times 10. i haven't been on a vacation in almost 5 years!! i have been on a cruise before and that was my last vacation! it was so much fun!!! i would totally suggest one since you've never been on one! you like to stay busy and cruises are very busy! i think you'd really like it! Hawaii and can you take me with you? LOL, have fun! Oh Hawaii was BEAUTIFUL! Or you could just wait till we move to San Francisco and come visit us!!! That would be so fun! We have never been on a cruise but really want to go! i'd be happy going to any of these places! my vote is for hawaii though! Cruising is my favorite way to vacation! All inclusive! So relaxing! I love it! Cruises are my absolute favorite, but I've always wanted to go to Hawaii... hmmm... I'd flip a coin for those two. I have been on a cruise but it was just a little 5 day mexican one here out of LA. I think Hawaii would be a great getaway. I love traveling new places and learning about the history and culture. I would say avoid California in September. It's really freakin hot and thats right in fire season. Which makes this place hell, smoke, ash, not fun. Hawaii and then you can visit Miranda!! Although I would probably pick Bahamas for myself! Cruising is so fun. We went to Hawaii for our honeymoon and loved it. You could always fly through Cali on the way to Hawaii and then you knock two out of your three choices! I'm a Cali girl at heart. I say Hawaii!! Then I could meet you face to face :) Plus I could show you all the best spots!! Hawaii! I can't wait to go back! 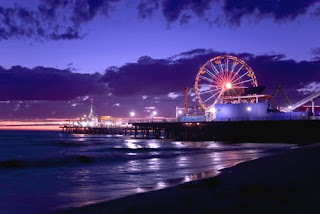 I csn go to Cslifornia anytime, so I would definetely choose Hawaii! I am new to your blog, and I am now a follower!